Our doctor's have access to an extensive list of medications that can be prescribed when appropriate during a telemedicine visit. Prescriptions can be sent to a local pharmacy for pickup, or shipped by a mail-order pharmacy partner to be delivered to home or work within a day or two. This may be used for short-term treatment of common acute conditions, when a patient is in search of a new doctor or insurance plan, or when needing a prescription to treat stable long-term/chronic conditions. Doctors can prescribe medications, as appropriate in states where prescribing following a telehealth consultation is permitted. Telemedicine Physician Group does not guarantee that a specific medication will be prescribed if requested by the patient, should the medication be in violation of Telemedicine Physician Group's Prescription Policy or not medically appropriate, as determined by the Provider. Telemedicine Physician Group is not able to issue prescriptions regulated by the U.S. Drug Enforcement Agency (DEA), regulated under State law, or that may have the potential for harm, misuse, or addiction. To view the list of the DEA controlled substances, visit www.dea.gov/pubs/scheduling.html. Telemedicine Physician Group does not dispense medications of any kind and is not an online pharmacy. We will not route any e-prescriptions to online pharmacies. Any e-prescription issued through Telemedicine Physician Group must be purchased and reviewed with a pharmacist, in person, at a local pharmacy. 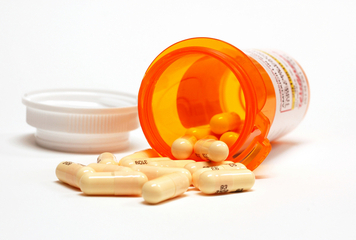 Medications cannot be purchased directly or indirectly through Telemedicine Physician Group. The cost of a Telemedicine Physician Group visit covers only the consultation with the medical provider and does not, in any way, apply toward the expense of purchasing a medication. Telemedicine Physician Group is not a replacement for your primary care physician or annual office check-ups. Telemedicine Physician Group consultations treat a majority of common medical conditions, however a small number of cases require an in-person visit for complete care.